What is the truth about diesel engines? Are they inherently dirty? Do they belch clouds of black soot? Are they unsuited to cars, as evidenced by 1980s class-action suits against GM’s diesel “lemons?” Do they make an unnecessary racket when idling and accelerating? Are their emissions toxic and a threat to human health? 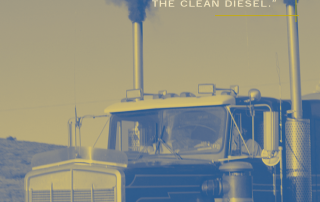 Many ask, in this age of ultra-clean transport, why do we still have diesel engines? The governor of Tokyo and air quality regulators in southern California have both launched campaigns to ban them. But there’s another side to the story of diesel engines. European regulators assert they are an answer to climate-change threats. Many automotive companies claim that new diesel engines are dramatically improved and as clean and quiet as gasoline engines. And freight companies rely almost exclusively on diesel engines for their trucks because they are durable and efficient. Indeed, diesel engines continue to increase their market share worldwide, now accounting for about forty percent of all roadway fuel consumed.